I had mixed feelings going in and coming out. Before Blood Meridian, I read The Road and No Country for Old Men, both highly acclaimed novels from Cormac McCarthy. I disliked the former and loved the latter. The Road was too bleak, too unrelatable and I had trouble finding any trace of an actual plot. No Country for Old Men was done well by its film adaptation and was also a pleasing read, closer to a beach read than an artful interpretation. 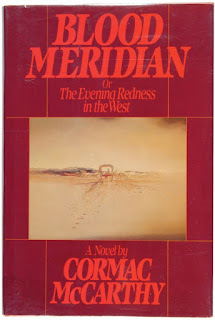 Coming from those two novels, I wasn't sure what to expect from Blood Meridian. It's an anti-western epic, that follows "the kid" through the Wild West. Indians are scalped for payment, travellers are robbed, women are raped (mostly off-scene) and men murdered. There is a story, but there is also unimaginable violence and it seems that Blood Meridian is more about violence itself than any singular storyline. I can only imagine what it must have felt like to read this in 1985, when it came out. The bloodshed must have been even more distressing then. Cormac McCarthy's prose is pure treasure. It is as if someone had handed the words down from another realm. 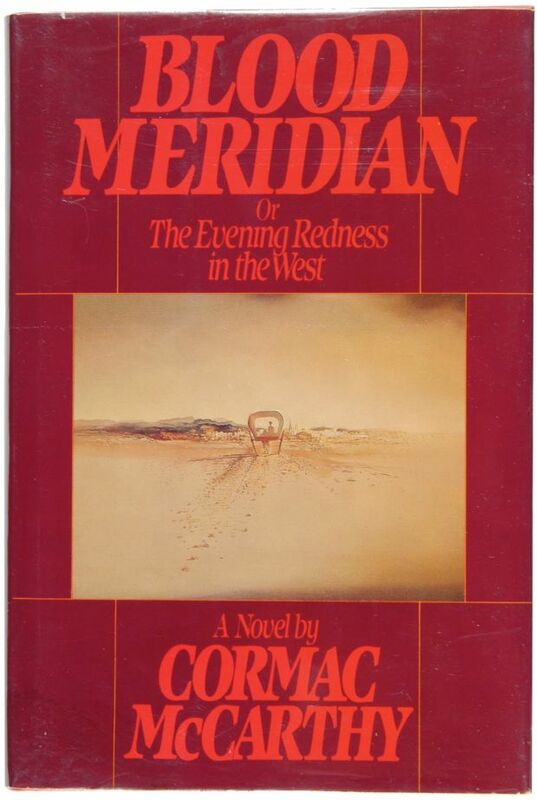 Having read Blood Meridian, everything else sounded stale or silly. There is a weight to his words that is rare, even when compared to the very best. Descriptions of the surrounding wilds are what drives the sense of location throughout. Nature is beautiful, but it is also neutral to travellers needs. Watering holes are few and far between, the weather changes unexpectedly. Then again, there are only so many times that you can read about lighting storms and dying of thirst before it becomes a bit predictable and repetitive. I didn't particularly enjoy the ending and completely failed to understand the epilogue. I was angry at the novel, not for having a somewhat inscrutable outcome, but for not really living up to anything. Some will say that the ending is artful and intriguing but, personally I found it to be an annoyance. You can read into it if you want, it's the stuff of college essays, but it didn't really compliment the rest of the novel and had a somewhat different tone that to me felt like it came from an altogether different novel.